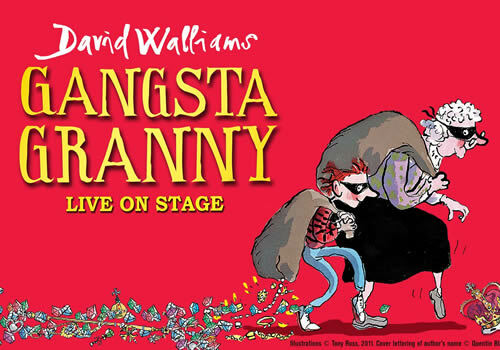 David Walliams’ bestselling children’s book Gangsta Granny receives a West End transfer in a delightful page-to-stage adaptation by Horrible Histories’ Neal Foster. Premiering in 2015, the production by Birmingham Stage Company was recently nominated for a UK Theatre Award for Best Show for Children and Young People. 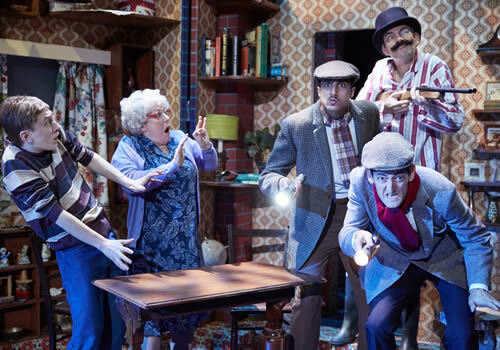 Now, Gangsta Granny embarks on a UK tour before sneaking into London’s Garrick Theatre for a limited summer run in 2017. Gangsta Granny follows Ben, a young boy who is staying at his Granny’s on a typical Friday night. Prepared for a boring night in, Ben knows that he will be presented with the usual cabbage soup, cabbage pie and cabbage cake – bleurgh! But what he doesn’t know is that his robbing relative harbours a secret bigger than he could image! Quickly, boring Friday nights in turn into adventurous nights out, as Ben and his Granny become gangstas! 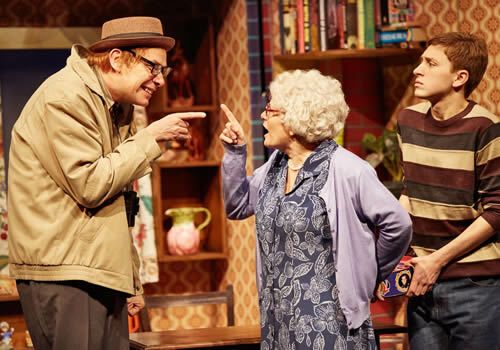 Previously, the production starred Gilly Tompkins as Granny and Ashley Cousins as Ben, with further cast members including Louise Bailey as Mum/Queen, Ben Martin as Dad, Umar Malik as Raj, Alison Fitzjohn as Matrons and Richard James as Doctor, as well as ensemble members Liz Garland and Aaron Thiara. In 2013, Gangsta Granny was made into a BBC Christmas special, starring Joanna Lumley, David Walliams, Miranda Hart and Julia McKenzie. Award-winning author, actor and comedian David Walliams has quickly become a children’s favourite, releasing books such as Mr Stink, Demon Dentist and The Boy in the Dress, which was adapted into a BBC programme. Adapted for the stage by Neal Foster, the show features design by Jackie Trousdale, lighting design by Jason Taylor and sound design by Nick Sagar, with original compositions by Jak Poore. Playing at the Garrick Theatre from August 1st, with previews beginning July 26th, Gangsta Granny runs for a limited time until September 3rd 2017. 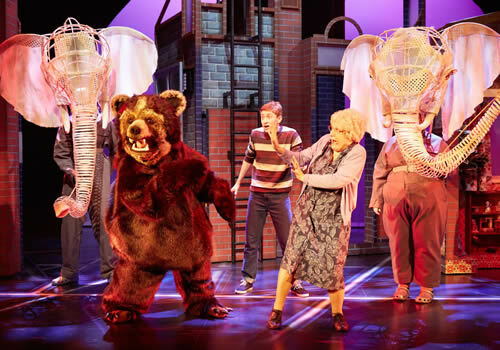 Suitable for those aged 5 and up, Gangsta Granny can be enjoyed by families of all ages!